In some parts of country Australia, such as western NSW, it has been at least five years since there has been a harvest of any note. The land at its people have been oppressed by a stubborn failure of rain for up to a decade. Ironically, the challenge this year has been too much rain with flooding meaning some farmers have missed out again. Thankfully blue skys and a warming sun are prevailing for now, allowing harvesting to begin. The west feels profoundly different, as if the pain of past years has been washed away by renewing rains or buried beneath a mountain of multiplying grains. The birds are more abundant and even tired old trees have dressed up in the latest green shoots of spring. I am from the city but have been deeply moved in the presence of a paddock standing thick with wheat, the wind rustling the golden stalks like a happy, dancing wraith. While there is much yet to do before farmers will feel their harvest is safely finished, this magnificent return to reaping what you sow is a massage to the heart. There’s a rightness to it that challenges the cynical unnaturalness, or fakeness, of so much recent thinking. Return to hope, return to the basics of love and truth and growth and new life. Return to God, the author of it all. 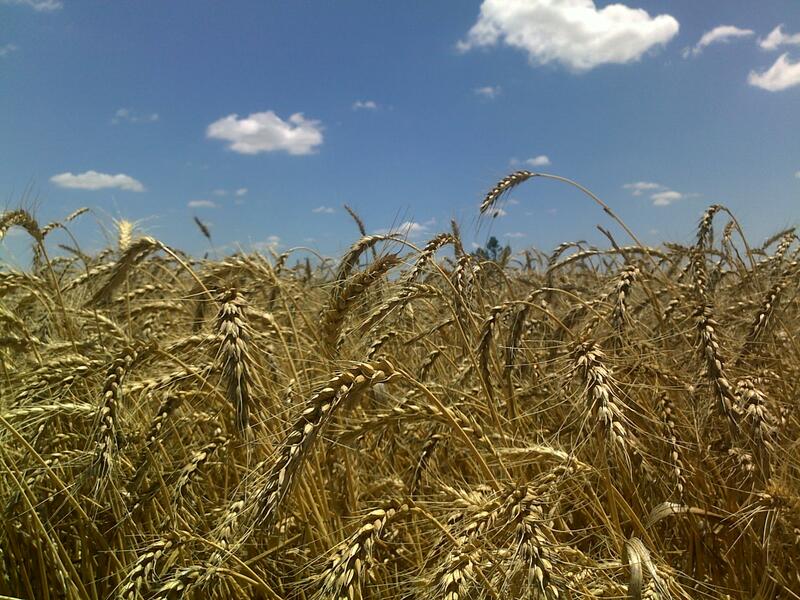 Posted in Australia, Comment, FindingFaith, Musing.Tagged Australia, Harvest, rain, West Wyalong, Wheat.